The drums are beating for the 2010 showdown between Manny Pacquiao and Floyd Mayweather Jr, who are inarguably the two best pound-for-pound fighters on the planet. Pacquiao continues to be boxing’s mainstream star, whose global popularity just might eclipse the legacies of Mike Tyson and Oscar De La Hoya. The eager anticipation for the Pacquiao-Mayweather fight has been helped by the fact that 2009 was a pretty good year for the Sweet Science. 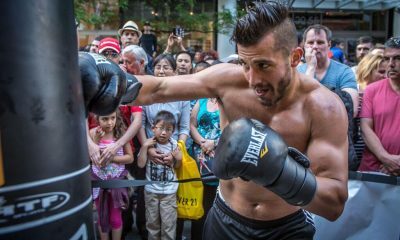 There is still no shortage of pundits declaring that boxing is dead, especially with the ever-increasing popularity of men fighting in cages, but the fact remains that boxing fans saw their share of good action this year. Manny Pacquiao: Having savagely destroyed Ricky Hatton and Miguel Cotto, no one can debate that the Pac Man, 50-3-2 (38 KOS), deserves this most prestigious honor. His popularity and relevance to the sport extends far beyond what he does in the ring. Besides being a fistic hero, he carries the pride of his entire native country, the Philippines, on his shoulders, and is talked about with Mandela-like reverence. 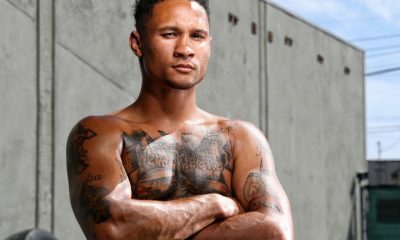 His popularity has resulted in him being the subject of a long feature in Time magazine, and even American housewives with no interest in boxing know his name. Although the heavyweight division is in a moribund state, WBC champion Vitali Klitschko, 39-2 (37 KOS), continues to mow down opponents with aplomb. 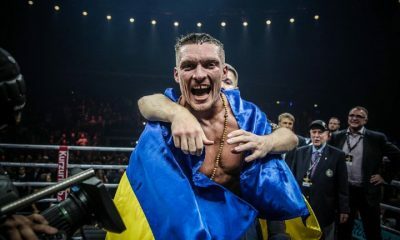 Over the course of nine months this year, he stopped former cruiserweight champion Juan Carlos Gomez in nine and the previously undefeated Chris Arreola in ten. The only reason the unheralded Kevin Johnson lasted the distance in December was because he chose the path of least resistance and opted to survive rather than fight in any way, shape or form. Juan Manuel Marquez TKO 9 Juan Diaz: Until the sensational finish, the two-way action in this classic battle, with the vacant WBA super middleweight title on the line, was intense and non-stop. 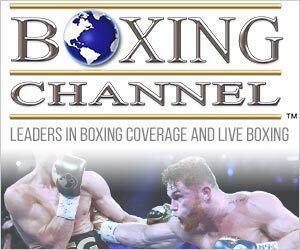 This was a great television fight that led to Marquez unsuccessfully challenging Floyd Mayweather Jr. and Diaz engaging in two memorable fights against Paul Malignaggi. Marcos Rene Maidana TKO 6 Victor Ortiz: Ortiz was being groomed for junior welterweight superstardom by the tandem of HBO and Golden Boy Promotions. Although Maidana was 25-1 (24 KOS), going in, most people viewed his record as bloated and believed he would offer some minor obligatory resistance before Ortiz put him to sleep. 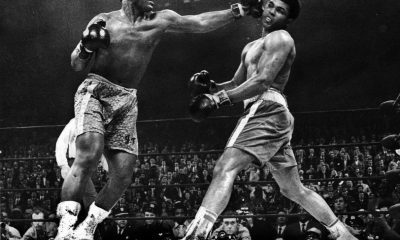 But the hardnosed Argentinean came back from three knockdowns in the first two rounds to force Ortiz, who had been down twice, to call it a day in the sixth. Ortiz has since rebounded on HBO with a sixth round stoppage of Antonio Diaz to run his record to 25-2-1 (20 KOS), while Maidana’s record is now 27-1 (26 KOS). Manny Pacquiao KO 2 Ricky Hatton: Pacquiao’s bone-jarring second round stoppage of Hatton in May first brought roars of approval from the crowd, but those joyous roars were quickly replaced by a frightening din when it appeared that Hatton might not get up from the brutal beatdown. Many prognosticators had given Hatton a good chance of defeating Pacquiao, but the fight was so ingloriously one-sided that is was being talked in boxing circles, and beyond, for months. Shane Mosley’s ninth round annihilation of Antonio Margarito was especially memorable because Margarito came to the fight with loaded gloves. It wouldn’t have mattered if he brought a switchblade to this bout, because this was a night that Mosley would not be denied. The revitalized Mosley is now set to challenge WBC welterweight champion Andre Berto in late January, a bout many insiders are giving him a good chance to win. Special mention also goes out to WBC super middleweight champion Carl Froch, who came across the pond from his native England to take on challenger Jermain Taylor in Connecticut. 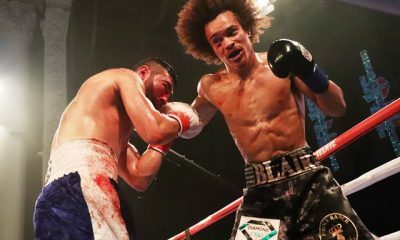 Despite being behind on two scorecards, the Brit dug deep within himself and found the strength to stop Taylor with just 14 seconds remaining in the twelfth and final round of a rugged fight. Paul Malignaggi: The Magic Man was all but counted out after being stopped by Ricky Hatton in the eleventh round in November 2008. Where was the quick and agile but light-punching Malignaggi going to go, especially with those brittle hands of his? 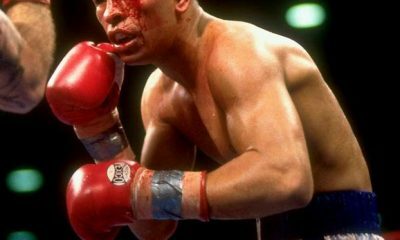 Making things worse was the fact that he was rocked in his first comeback fight, an eight round decision victory over journeyman Christopher Fernandez. Despite being robbed in his next outing, against Juan Diaz, Malignaggi would not be denied in the rematch, which he won by a clear and aesthetically pleasing unanimous decision in December. The man who had no future just over a year ago is now being talked about as a possible opponent for Manny Pacquiao, should the Pac Man’s fight with Floyd Mayweather Jr. fall through. Danny Green: The likeable Australian retired in December 2007 after a successful defense of his WBA light heavyweight title. His 2009 comeback, as a cruiserweight, started in April with a second round knockout of Anthony van Niekerk, and was followed by a fifth round stoppage of Julio Cesar Dominguez in August. But Green finished the year with a stirring first round knockout of Roy Jones Jr., which puts him in a prime position for any number of major cruiserweight fights, including one against Bernard Hopkins. Good fortune such as this could not have happened to a nicer guy, whose record now stands at 28-3 (25 KOS). Tor Hamer: The undefeated heavyweight has looked hot and cold, but the reality is he fought eight times this year to raise his record to 10-0 (8 KOS). 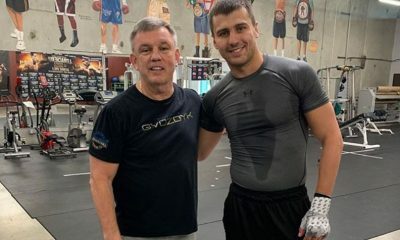 Say what you want about him, but under the stewardship of promoter Lou DiBella, the Penn state graduate with the big punch is making enough waves to be talked about as a future title challenger even as continues to learn his craft on the job. Michael Oliveira: The undefeated Brazilian middleweight, whose nickname is Chairman of the Board, fought eight times in 2009 to raise his record to 11-0 (9 KOS). The 19-year-old Miami Dade Community College student plans on having a big 2010, which will hopefully include a fight in his native country where he is already being accorded idolatry status. Naazim Richardson: If not for Richardson’s astuteness and attention to detail, Antonio Margarito would have entered the ring against Shane Mosley with plaster in his hand wraps. 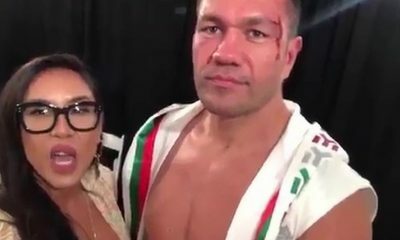 Although he deserves to be commended for being the architect of Mosley’s dizzying performance against the prospective cheater, Richardson deserves even more kudos for uncovering the scandal of the year when he red-handedly caught Margarito trying to perpetrate a blatantly criminal act. Freddie Roach: Although Manny Pacquiao would be a great fighter regardless of who trained him, it is his relationship with Roach that has made him the most respected and talked-about boxer in years. You need not look past the fact that Roach has improved every fighter he has ever worked with to realize what a truly remarkable trainer he is. Rest assured that someday in the future, there will be a Trainer of the Year award named in his honor.